Full Figured Fashion wasn't all fashion and fun, we all participated in 3 panel discussions. 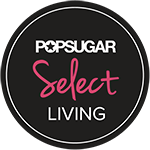 These panel discussion were all geared toward the plus size fashion whether you are an aspiring plus model, trying to start a business or the over all plus size fashion community. Each panel was hosted by a prominent person in the plus size fashion industry as well all the panelist. The first panel was the plus side of business, hosted by Gwen Devoe and panelist included Yuliya Raquel from Igigi, Tina Sanchez from Moxie and Glen Johnson from Full Figured Plus and Marie Denee from The Curvy Fashionista. Everything from using social media to what the right business application to use was discussed. This was a very informative panel, I learned so much new info and has fueled my dream of owning my own business even further. The third and final panel discussion was the best in my opinion. The State of the Curvy Community to discuss the current views of plus size fashion and significance of FFF Weekend. This panel was hosted by Chenese Lewis and panelist included Sharon Quinn, the original runway diva, Reah Norman Stylist and Fashion Director of Plus Model Magazine, Kelly Price, R&B singer, Judge Karen Mills Francis and Hienrich St Germain from Judgment of Paris. This panel was the best I think because of the questions asked and the feisty panel who all had strong opinions to share. All were very passionate about their views on the plus size fashion industry. I won't go into a long winded blog post about it, but Chenese did write down all the key points and we (the curvy collective) all came to an agreement on action items that should be taken. These action items are necessary to improve upon and make the plus size fashion community a better one for all. Don’t settle for less. We should not blithely celebrate the appearance of mere size-8 models on the runway as being a victory for plus-size women, as that is not anywhere near a plus size. Accepting this tokenism can also do more harm than good, as it signals to the fashion industry that full-figured women will be content with a model of any size, however thin, so long as she is merely labeled plus size. Our loyalty must be to the plus-size body, not merely to the plus-size label. If the label is falsely applied, this must be changed. Plus-size models should at least be the size of the clothing that they're modeling -- and without padding. Plus-size fashion begins at size 14W and up. Don’t believe the hype. Do not buy into the excuses that the fashion industry offers for its size-discriminatory practices. For example, do not accept the myth that smaller models sell products better than larger models. No one knows which models were compared in such surveys, how they were styled etc. All real-life feedback proves the opposite -- that women do want to see true plus-size models. Industry professionals stand your ground. When working on mutual projects (e.g. lookbooks, editorials) and the agencies wish to promote their barely full-figured models, tell them that you would much rather work with the larger plus-size models whom the agencies represent, because this is what the public wishes to see. Engage in a give-and-take. Nudge your professional partners in a more size-positive direction. Bloggers use your power for good! When participating in blogger conferences organized by plus-size companies or labels, encourage these labels to use larger plus-size models. Encourage the industry professionals to get into a more size-positive mindset. When discussing a fashion item that a plus-size retailer or label is promoting on a smaller model, give an honest appraisal of the piece, but also always include a firm and unambiguous statement that you would prefer to see it on larger plus-size models in the company's advertising, and express disappointment that the advert didn't include a larger model in the first place. Present this to the company as an easy opportunity for improvement. 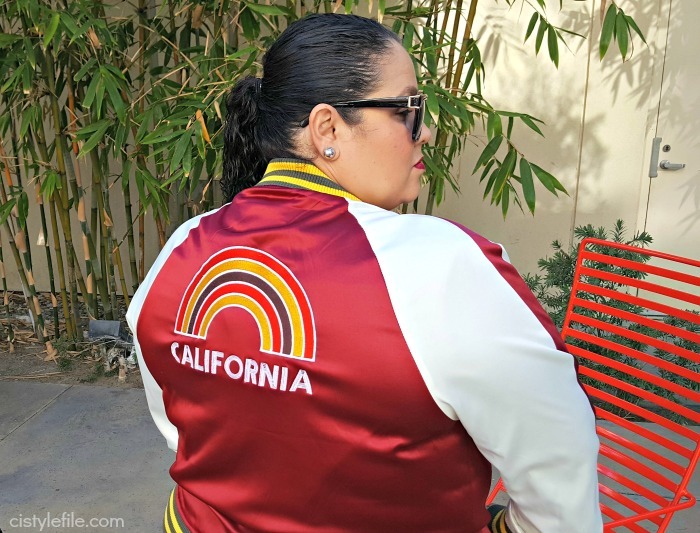 Encourage these labels to use their power to feature the larger plus-size models whom the blogger and her readers want to see. Focus your primary efforts on the plus-size fashion industry, not the straight-size fashion industry. Stop focusing on the straight-size industry, which is anti-plus, and which always demands compromises and concessions (e.g., diminishing the size of plus-size models until they're not plus-size at all). Rather, we should focus all of our efforts on improving the plus-specific, full-figured fashion industry. Do not be concerned that this is fashion "segregation." Rather, think of it as fashion independence. Even the most powerful plus-size bloggers will only ever have a limited influence on straight-size fashion, because that industry can always write off such criticism as coming from a voice that is "not their constituency." 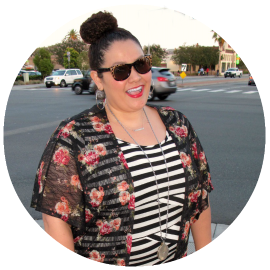 But plus-size fashion bloggers do have an influence on plus-size fashion. Therefore they can combat size discrimination within the plus-size segment of the industry. More media platforms for plus size women! Currently there are no print publications for plus size women and very few positive roles in film and television – if any. We must continue to create new opportunities as well as support the platforms that do exist and help them grow (online magazines, podcast, blogs, etc) by helping to bring exposure to the various outlets that cater to us. Celebrate the companies that “get it”! Loudly praise retailers or labels that do feature fuller-figured models, use positive imagery in advertising, and provide quality products and services. Don’t forget to write positive letters to companies and networks when you see something you like! Don’t support companies that don’t support you! Money talks, bottom line. If you do not feel that a company is up to your standards for any reason, rather it be the marketing and advertising, or the quality of the product, simply don’t patronize them. Once the company notices a decline in profits they will be force to make changes. Be Positive! There is an old saying that goes “You can catch more flies with honey than vinegar.” Always let your voice be heard when you are not pleased with an advertising campaign or company, however a company is more likely to respond to constructive criticism rather than angry rants. Self loathing has to stop! Love your body! There must be no line separating plus-size fashion and size advocacy. The industry is an advocacy industry by its very nature. (If it weren't, it wouldn't exist at all, and everyone would simply discuss straight-size fashion.) Moreover, advocacy sells, because plus-size women who feel better about themselves will spend money on fashion to beautifully dress the full-figured body that they have right now, rather than skimping on mere "temporary/disposable" clothing and spending the bulk of their money on diet-starvation or gym-torture to diminish their figures. Overall I really enjoyed the panel discussion, which gave me a chance to see another side of the plus size fashion industry and community. As with any community we all don't agree on the same things and have different ideal, but we all agreed that changes need to be made. Please feel free to re-post the action items on your blog or facebook, if you are a blogger. The more we get this message out the better to make a changes with in our community.